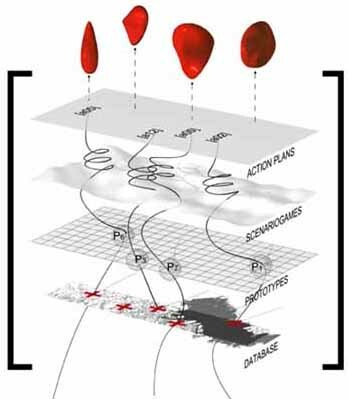 scenario games: simulation of possible realities and interactions between those phenomena The Tokyo Story is aiming at the formulation of urban prototypes. Urban prototypes are engines of change, instruments of new urban form, linking as an organisational structure larger contexts to specific environments. The Tokyo Story is a life project unfolding in between the 30.03.00 and the 05.04.00. That real-time product becomes an instant exhibition space after the event which will be hosted beyond others by the Venice-Biennale Web site and the Graz media & architecture Web site.